Comic Con India (CCI) is a series of annual comic-based conventions held in India. The first edition was started in 2011 in New Delhi and over the years it has expanded to other major cities in India such as Mumbai, Bangalore, Pune and Hyderabad. The group now undertakes annual comic cons in all these cities. An estimate of over 200,000 visitors gather in these five cities with over 1200 exhibitors. 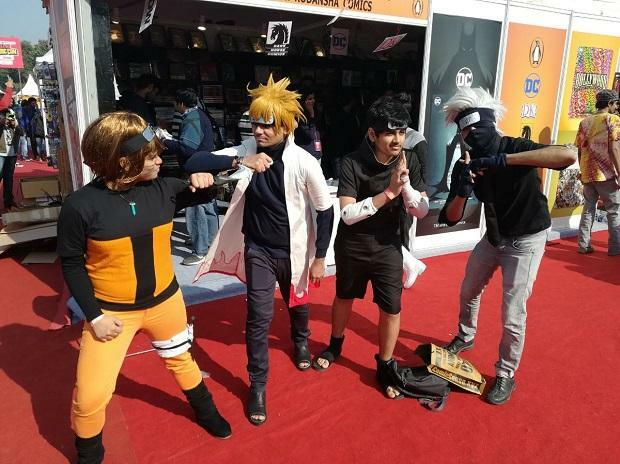 The eighth edition of the Maruti Suzuki Delhi Comic Con 2018 is being held from 7th to 9th December at the NSIC Exhibition Ground in Okhla, New Delhi. Notable guests includes actor Vladimir Furdik, (who plays the Night King in Game of Thrones), John Layman and Declan Shalvey. The three day event also has a daily cosplay prize pool of over Rs. 50,000. Grand Prize winners also qualify for the National Indian Championships of Cosplay. We report a shocking video posted by a twitter user, whose handle reads as @PapriTweets and who is also a Senior Correspondent with The Quint. She posted a video where incidentally a booth named “Mirzapur” gave a ‘Desi Katta’ (local gun) challenge to the children. She also said the competition was about assembling a gun from the scratch and the fastest one wins. She further confirmed that there was no age limit whatsoever for this game. Guns at @comicconindia?! #Mirzapur booth just had a #Desikatta challenge. Basically assembling a local gun from scratch. The fastest wins. OH, and no age limit to play this game. Many were quick to respond and mark the video to the HMO, questioning as to what was being promoted in the name of a game. @HMOIndia what the hell is going on. What are we promoting. Kindly look into the matter @Uppolice .who allowed this. Another user questioned how was this been allowed as well. We await an official follow up and an enquiry in this matter from the respective authorities. However, in the times of internet, it may not be shocking that the little kids already know the tricks of assembling a gun. What shocks us is how has such a game been openly promoted and permitted at the exhibition.